Only orders that are not filled 100% (partially filled) and are still in Live status can be cancelled. 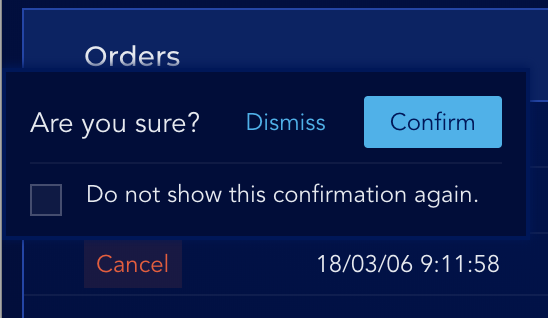 Locate the order you want to cancel in the Orders panel. Click Cancel and confirm when prompted.